The statement — in which the militant group also called the attacks "miracles" and said the group will "watch you when you go to sleep. And today we bring you your death” — comes shortly after French President François Hollande called the coordinated effort an "act of war," and pointed fingers at ISIS. 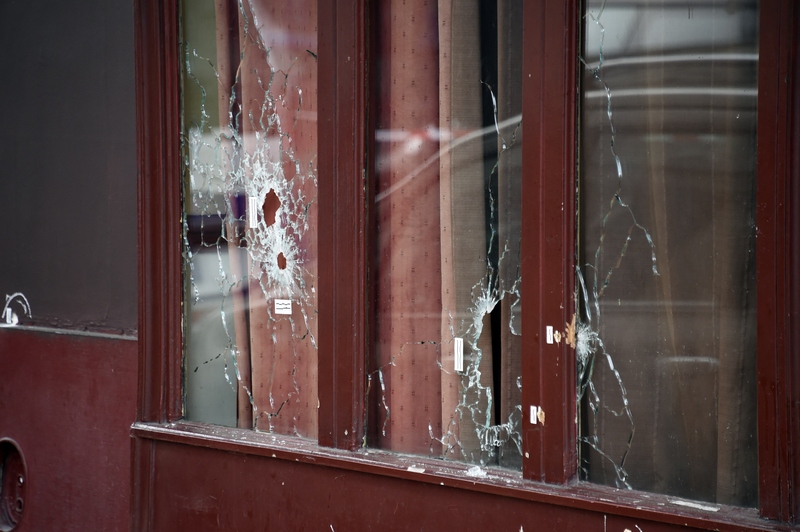 Hollande also said that the attacks were "organized and planned from outside," albeit with help from the inside. As long as you keep bombing you will not live in peace. You will even fear traveling to the market. U.S. airstrikes targeted "Jihadi John," né Mohammed Emwazi, the man who was seen on video executing several Western journalist hostages. Though authorities haven't confirmed that Emwazi was killed in the strikes, they say they are "reasonably certain" he is dead. Following the attacks, President Barack Obama, who spoke to Hollande on the phone Friday night to offer condolences, told reporters that the U.S. stands by France and will help take down those responsible. This is an attack on all of humanity and the universal values we share. We stand prepared and ready to provide whatever assistance the people of France need to respond. There is no known threat to the U.S. following the attack, authorities say. On Friday, gunmen and assailants armed with explosives stormed several Paris locations, including the arts hall Le Bataclan, where concert-goers were attending a concert featuring American band Eagles of Death Metal. The Bataclan was the site of the deadliest attack of Friday night, with over 80 people killed inside, according to reports.